The endangered long-beaked echidna, or spiny anteater, may have help on the way, thanks to the success of a breeding program between a university and a wildlife preserve in Australia. The University of Queensland (UQ) and the Currumbin Wildlife Sanctuary announced that they have worked together to produce 14 short-beaked echidna babies in captivity in the last five years, a number higher than any zoo has been able to produce. 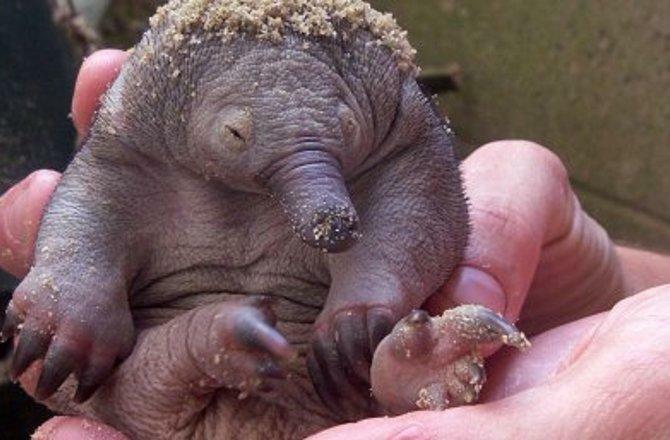 "Up to a few years ago it was thought almost impossible to breed echidnas in captivity, and most births were somewhat accidental and unplanned," UQ Associate Professor Stephen Johnston said. The news is welcome to a relative of the animals. While the short-beaked echidna is considered relatively common in Australia, its cousin, the long-beaked variety, is in trouble. The long-beaked echidna lives in New Guinea and Indonesia, and its numbers have grown smaller thanks to its being hunted for food and a loss of its habitat due to development. Echidnas, along with the duck-billed platypus, are the only remaining mammals that lay eggs. The hope is that as UQ and Currumbin continue to hone their breeding of short-beaked echidnas, they can use the information to help the endangered long-beaks. "We now have a better understanding of the echidna's temperature regulation requirements," Johnston explained, "and we are seeking to identify what hormones are involved at different stages of the females' breeding cycle." "It's so important now we use what we have learned to make a real difference to conservation and the plight of the long-beaked echidna from Papua New Guinea," said Currumbin Wildlife Sanctuary official Michael Pyne.